Great news for Sydney fashionistas - Chiquel is coming to Bondi Junction in April! No need to travel to their exclusive salons in Melbourne anymore. They have everything and I mean EVERYTHING you could possible need in regards to hair, wigs, hairpieces and hair extensions, for both women and men. They also do spray tans and have a hairdressing salon. You will be looking and feeling fabulous. I like that you can use a wig as an accessory to your outfit. I am not talking about fancy dress parties but just glamming it up for a night out. For a bit of retro goodness, I love the Chiquel's 'Pinup' wig. It's very Bettie Page-like. Personally, I love a dramatic change without the commitment of a new hairstyle to maintain. There are many other reasons why people may need the services of Chiquel. Hair loss can be a difficult time for some people, especially those that are undergoing chemotherapy or have alopecia or pattern baldness. Chiquel provide private fitting rooms and onsite styling, fitting and cutting by qualified hairdressers. They also cater for hair loss in children. Their services are professional but most importantly, understanding of your needs. 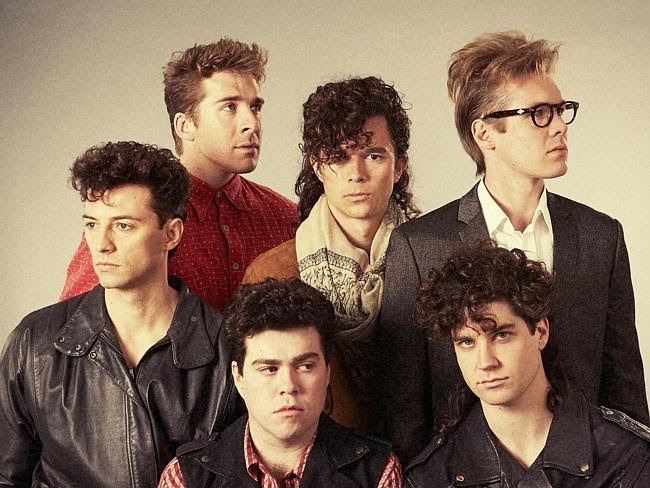 Chiquel were asked to supply the hairpieces for the INXS Never Tear Us Apart miniseries. It was imperative that the hairstyles looked as authentic as possible. I think they aced it! Have a look at the many wigs and hairpieces they have available. It's Zsa Zsa's birthday dahlink!